This week our special guest is Shonagh, Michael's long suffering wife, who give us a glimpse into what it is like to be married to an expat. Mike, naturally, is also allowed his say on life in a foreign land married to a foreigner. To us, it's normal, but I'm sure others must see us as the odd couple. In the beginning we were a novelty on both sides of the Pond to our friends and family. And, yes, I was asked on my first visit to the States to "say something; I love your accent". A friend of my family, on meeting Mike for the first time, commented later to my mother "He's not much like an American." He obviously didn't have his 10 galleon hat and cowboy boots on! Being married to Mike has given me the opportunity to see my home country from many different angles, and to enjoy it in a new way. I've always had holidays in the U.K, childhood holidays in Scotland, walking holidays in Yorkshire, the Lake District and Ireland. But now, every year, we rent a cottage in a different region—we just spent a wonderful week in Dorset enjoying both the coast and the countryside—and I have discovered many new parts of the U.K, including previously unexplored sites in my own back yard, such as Stonehenge and Battle Abbey. I also represent the whole of the U.K population, having to explain political, social, economic and cultural events and situations while attempting to answer his who's, what's, where's and why's. At times you can hear me saying, "I don't know, it just is". 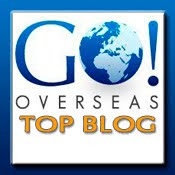 Living with an Expat has meant I have become more IT aware, reading blogs and surfing websites. This has allowed me to meet people from all over the country and the world: a possible relative in South Africa, a Mummy blogger from Chicago, a Southern Californian Social worker and many other friendly and interesting people. I'm nearly bi-lingual now, though I will never get over how some words are pronounced, and by Jove Mike clings to these—“'erb”, “Aloominum”—as he knows these make me cringe. Even after 8 years we still have to explain local words and saying to one another. Only the other day I had to explain to him what a BILLIEDO (phonetic spelling) is, answers on a post card. Then there is food; just don't get me started. How often do you find yourself in a shop showing your other half a food item and explaining how it is used—“Quite frequently” is my reply. Last weekend I found myself in a supermarket explaining the various ways of making Jelly (NOTE: she means Jell-o): crystals, gelatine leaves and blocks, but it was a good excuse for picking up some individual tubs of Ben and Jerry's ice cream. What's it like being married to and expat? It is the opportunity to make our own mix of cultural traditions: Thanksgiving dinner and Pancakes at breakfast and Scones and Tea at National trust teashops. A lot of discussion and lots of laughter. If marrying a foreigner is a bit like taking in a stray—introducing an outsider to a new routine, helping the newcomer to navigate unfamiliar surroundings and schooling the uninitiated in heretofore unknown customs—being the one to leave your homeland means putting your life in someone else’s hands. For the first two years, I was unable to go anywhere without my wife. At least if I wanted to find my way back home. And if I did need to go out on my own, trusting directions such as, “Go to the top of the road, go left, take the right just beyond the Strangled Goose and when you come the roundabout go…”left me hoping she had not tired of me and was sending me on a course that would assure I could not possibly find my way back home. This requires a special kind of trust. Now, of course, I can find my way around Britain and back home again on my own with only the occasional frantic call to my wife, the Met or 999. Being married to a foreigner and living in a foreign land puts you at a constant disadvantage. You forever find yourself sitting with your beloved, watching the Telly and listening to them howl with laugher while you sit there like a pillock. And if you press for an explanation, you’ll find the joke involved some incomprehensible cultural reference and a scene from an obscure 1960’s sitcom. Language, too, is a continual—and sometimes startling—barrier, such as the day I discovered our mechanic was “diddling” my wife. Eventually, however, you find yourself laughing more and asking things like, “Who, exactly, is Chicken Lickin’?” less. But no matter how long you stay, you’ll always feel just a bit the outsider, surprised by the culture, language and customs of the natives, which is, of course, what makes it all worthwhile. Except she still doesn’t know how to pronounce aluminium. 1. For me, it would have to be “decent, affordable tea”. Although more and more Americans seem to be drinking tea, it’s usually sold as an artsy-farsty luxury item so the good stuff is prohibitively expensive, and the bulk stuff is like gnat’s pee, frankly. In Chicago I can buy PG Tips from one of my local supermarkets so it keeps me going. There’s also a chain called Argo Tea, which makes an exquisite Earl Grey Crème, for when I want to pamper myself. 3. Sausages. I (and others) have blogged about the alarming crapness of sausages over here, but it’s true and it hurts. Yes, we can get Brats, (bratwursts) which are great, but they’re still not sausages. If you buy American sausages, they are called “links” (because even they know they couldn’t possibly parade around as sausages), are pathetically thin and, if you’re not careful when buying them, are flavoured with things like hickory-smoke or maple syrup. Fortunately, as I’ve shouted from the rooftops before, there’s a lovely English chap in my neighbourhood who’s now selling proper English sausages. And what’s more, they’re not full of the usual junk so I can eat a lot of them. 4. Dettol. OK, so this is my dirty little secret - or not so dirty since it’s a cleaning agent. I don’t know – there’s something about the smell of Dettol that tells you everything is clean and sanitized. You could perform surgery in your kitchen and eat off your floor, so well does it do the job. Unlike Clorox or Domestos however, you can even bathe in it, as my gran used to have us do. (How dirty were we for god’s sake?) I have friends bring it over from England and I shall be returning with several bottles myself in August since I know my cleaner has been secretly decanting my supply for her own uses. And who can blame her? 5. Things on toast. For some reason, Americans don’t partake. As my husband asks, “Why would you wantto load a carbohydrate (toast) with another carbohydrate (spaghetti)?”. I have no answer; there’s just something comforting about beans/egg/spaghetti hoops (tinned of course), but Americans don’t get it. They do however, put the self same things in a large sandwich, in the shape of a Sloppy Joe. 1. Coin rollers: It used to be one of my great pleasures to pile my spare change on my dresser and then slide them into coin rollers. Here, they have bags that you just bung the coins into. Not the same. 2. Friendly’s/Denny’s: If you drive around any decent sized town in the US, you can be sure there will be a Denny’s or Friendly’s (or Cracker Barrel, or Pizza Hut, or …) where you can pull into an expansive parking lot, go in, sit down and have people bring you food: a passable Ruben sandwich, a steaming bowl of New England Clam Chowder, eggs Benedict with hash browns. 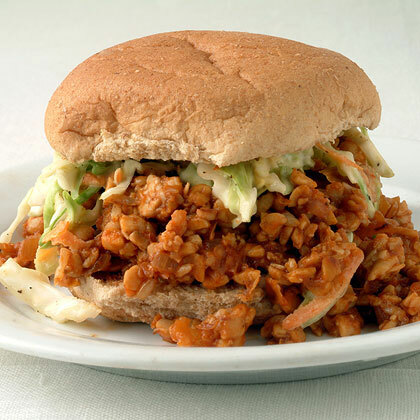 It’s not haute cuisine, but you know what you’re getting: hearty, comfort food. Here, you occasionally run across a Little Chef and, while you also know what you’re getting there, you won’t look forward to it with such longing. 3. Friends: It has been said (and said, and said, and said) that a friend is someone who will help you move, and a good friend is someone who will help you move a body. While in the States, I never needed anyone to assist me with a cadaver, but I had plenty of help when I moved. If I ever leave this flat, I’ll have to hire a moving company. ‘nuff said. 4. Barbeques: No one barbeques like the Americans, with loads of potato salad, macaroni salad, ambrosia, endless mounds of seared meat and buckets full of beer. They tell me the Brits do have barbeques, but I’ve never actually seen one. Though I suppose having friends might help on that score. 5. Vanity Plates: (Number plates) Americans display their credo on bumper stickers, but they can also (and many do) display it on their license plates. Bobs Toy, X32 1AR0, Sue Baru, Hosanna, SXUL DV8—all were plates I saw or heard of (except for SXUL DV8, which was in a news article telling how the DMV had denied issuing it). Here, they count on random numbers and letters spelling out something interesting and then you have to bid for them. They can cost quite a bit. PEN 1S, I am told, was a very popular one. I never had a vanity plate, but I liked the idea that I could get one if I wanted to; now, I fear, that opportunity has passed. Anything you couldn't live without? This week’s Guest Poster is ML Awanohara, a recently repatriated expat who spent years living in Britain and Japan. 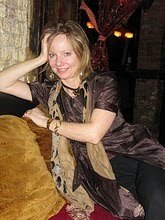 She is now back in the The States, reflecting on her adventures in her blog, Seen the Elephant. In this post, ML recounts her journey from football detractor to football fan. The full story can be found on her blog. This is a tale in two parts. In Part I, I am living in football-mad England and rapidly developing an aversion to the sport, happy to squander a golden opportunity to see it played at a professional level. 1) The game itself: the endless running up and down the pitch with hardly any scoring. I can't tell you how many times I got up to make a cup of tea, or dozed off, just as a goal was scored. 2) The fans: mostly male, many of them yobbos (at least that was the term in my day, I guess they are now called chavs?) prone to hooliganism. 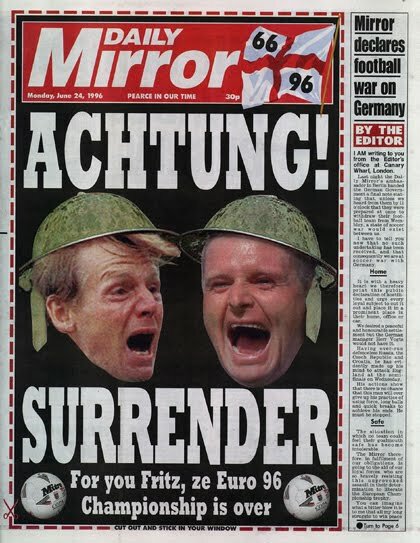 3) The jingoistic tabloid coverage: particularly when it comes to England playing Germany. I had the misfortune of living in London when these arch-rivals competed in the semi-finals of the European finals at Wembley Stadium. 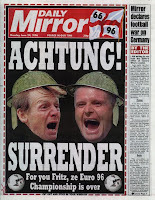 The Daily Mirror ran a front-page headline "Achtung! Surrender!" over a photo of two England stars wearing World War II helmets. John F. Burns, the London bureau chief for the New York Times wrote that such name-calling can be classified as "rib-poking" and has provided catharsis for both nations over the years. Who am I to contradict Burns? He certainly knows English culture better than I do. I just keep thinking of the late historian Howard Zinn and what he said about harmless pride becoming an "arrogant nationalism dangerous to others and to ourselves." As an expat, I had a choice: to skim along the surface or go closer to the beating heart of this, my adopted culture. Encounters with people engaging in violent male bonding rituals didn't quite fit into the script. In Part II of this tale, I have moved back to the United States and the 2010 World Cup is upon us. I find myself drawn to the game like never before. I can't pinpoint the precise moment when it happened — or why for that matter, especially as football still has all the same drawbacks I noted before. 1) It's the World Cup, stupid: Living in England, I couldn't see the World Cup forest from the local English football club trees. But once you see the forest, there’s no turning back. Watching the world's best players compete, it's so much easier to see why it's The Beautiful Game, long celebrated for its poetry and magic. 2) It's a much-needed distraction: Where do I start: the economy, the oil spill, the war in Afghanistan, this week's unbearable heat. When the news is consistently rotten, there's nothing like a soaring soccer ball to lift the spirits, not to mention the vicarious pleasure of seeing a team, and a nation, carry off the trophy. And how thrilling that this time it will be a European team (the first time for a European team to win outside Europe) and one that has yet to drink from the cup. Cheers to that! 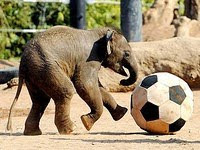 3) It's way better than the Olympics: If you’ve been there and done that and seen the elephant, then chances are you are a hybrid of nationalities, an ideal candidate for supporting international sporting events. The Olympics provides one such arena, but there is such a dizzying array of sports to follow, from curling to badminton. The World Cup, by contrast, is a singular occasion. There is no bigger stage, literally as well as figuratively, than the vast pitch on which the drama of the FIFA World Cup takes place. This week’s post is from Toni, who is on a sojourn in her native country. They say home is where the heart is, and I’m in a quandary. It was great to hear English accents all around me, and to ask for something in WH Smith without most of the shoppers turning round to see where the funny accent was coming from. The prices were a bit of a blow to the solar plexus mind you. How do you people afford to live here? And then the adopted American in me kicked in as I waited for two and a half hours (ish) in Café Nero for two cups of tea. “Come on girls, you’ll have plenty of time to talk about your weekend plans when you’re NOT WORKING”, my inner voiced screamed. Oh for the manic efficiency of my local Starbucks. The biggest thing about coming back to your country of origin after many years of living abroad is the feeling of being in an altered state. You know where you are and what you’re supposed to be doing, but everything’s just that little bit different. As Mike said, when we discussed this, “It’s like waking up from a dream” but I would venture to say that when things change as much as they have in the UK over the last twenty years, it’s like waking up from a dream and finding you’re still in a dream. 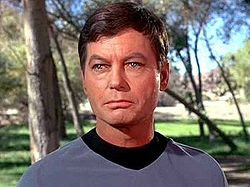 If you know what I mean: It’s life Jim, but not as we know it.